PRODUCT: 4 oz. Rolled Rim Paper Cone Drinking Cup. 25 Sleeves of 200. 5000 Cups/Case. Price/Case. DESCRIPTION: 4 oz. 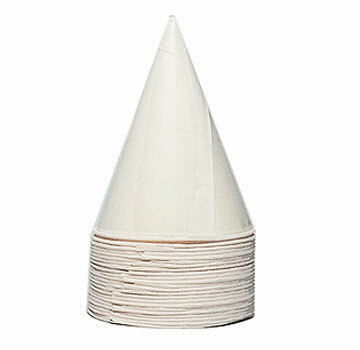 white paper cone cup is made of a BPI certified compostable paper. It is light, easy to hold, and also biodegradable!